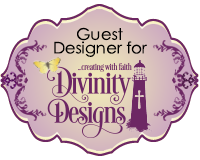 Today I am joining the Heartfelt Creations Alumni Design Team Blog Hop. The hop starts at 8AM EST on Friday, March 29th, 2019 EST and closes Monday, April 1st at 11:55PM EST. The Winner will be announced on the HC Facebook page on Wednesday April 3rd, 2019. 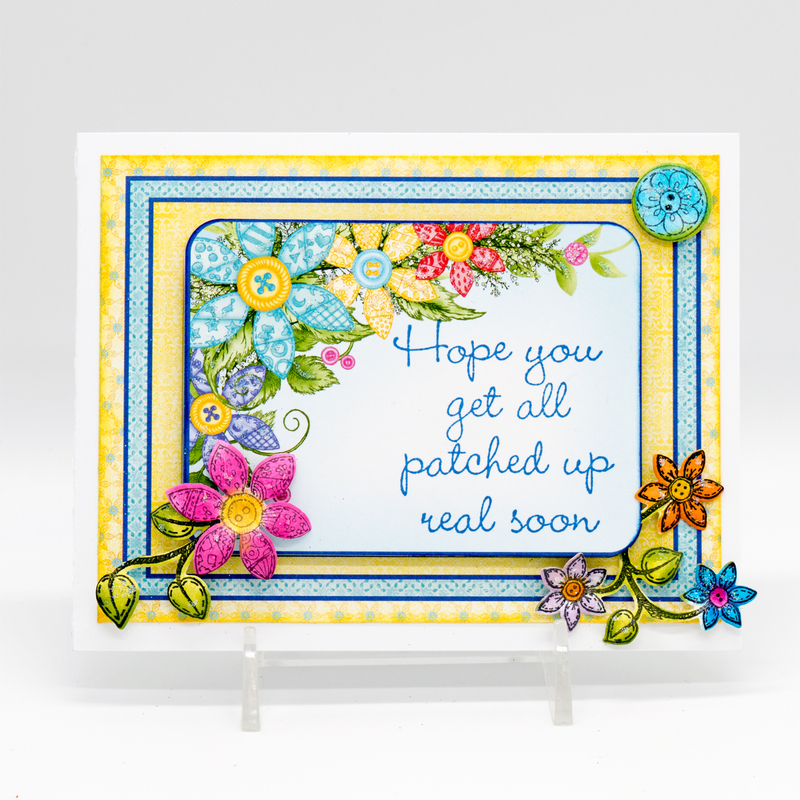 My Patched Up Card features products from the Buttons and Blooms and Patchwork Daisy Collections. 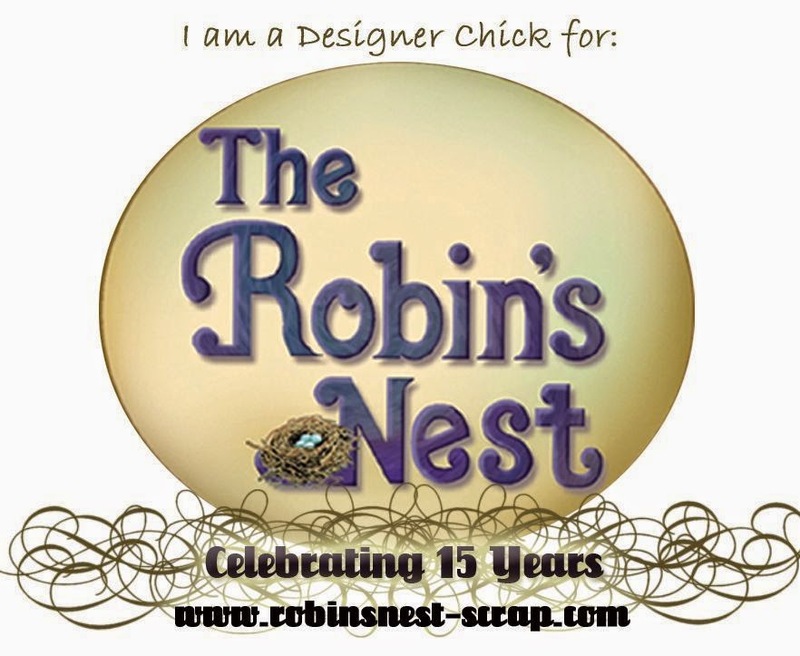 Please comment on my blog post and each of the other participating ladies in the blog hop for a chance to win. 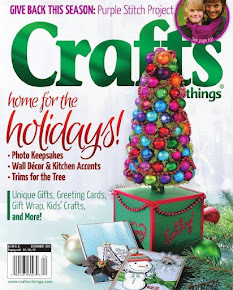 A randomly chosen comment from a mystery blog will receive a $25 gift certificate to shop at Heartfelt Creations. 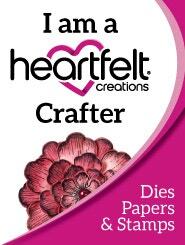 If you are the winner to claim your prize please email Heartfelt Creations at socialmedia@heartfeltcreations.us with "Winner of the March Alumni Hop" in the subject line. 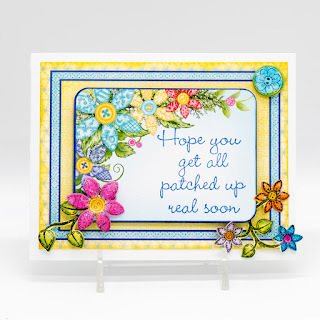 Candy, I just love how sweet this get well card is! Buttons and Blooms is one of my favorite collections. 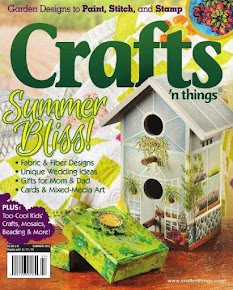 You really made the papers and elements shine here!Thanks so much for hopping with us this month. I appreciate you! I think this would definitely cheer me up beautiful. I love the bright/happy colors you used on this beautiful spring card! This card would cheer up anyone!! Love the design, very bright and colorful! Thanks for sharing. Bright and colorful. It's sure to cheer up someones day. 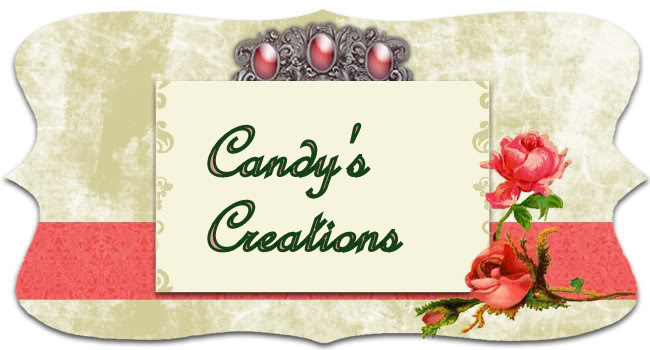 Beautiful card, Candy. I never have enough get well cards! Thanks for sharing! Lovely card! Beautiful Spring colors. Lovely card. Great spring colors. This card is so cheery! it would definitely bring a smile to someonw under the weather.... Love it! Yes indeed this is a sunny happy card for people who must be in need! Very creative! Your card is bright and cheerful! Just lovely! Spring is definitely in the air! Definitely brought a smile to my face. thanks! So pretty and perfect for Spring! Thanks for sharing. Such a fun card!love the bright spring colors. 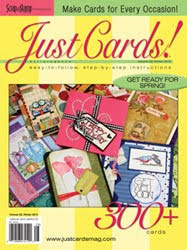 Great for encouragement and thinking of you cards. Oh, I just love,this collection Candy and your card is absolutely! So cheery--I like the framing. What a cheerful delight!! Will certainly perk up someone's day! Love this get well card. Beautiful colors and design. Thanks for sharing with us.